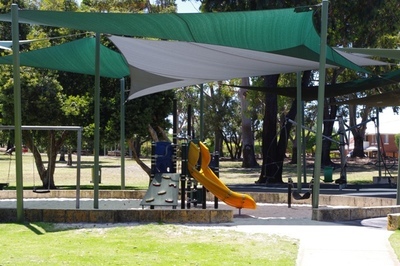 Native plants combine with alien-looking play equipment at Macaulay Reserve in Inglewood. 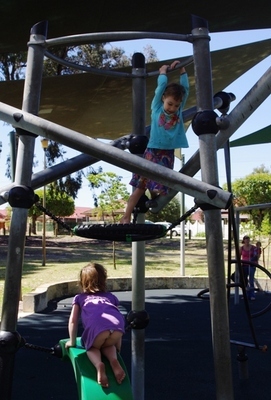 While there is a nod to traditional playground gear, with swings and a slide, there are also some space-age looking climbing frames and spinning devices. 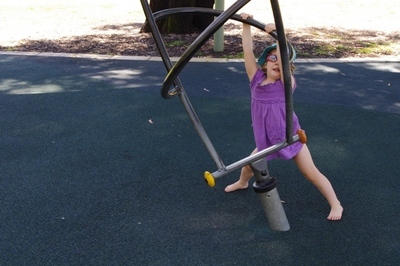 It took my little playground veteran a little while to work out how to play with the tilted spinners, which can be stood on, sat on or held onto with legs flying in the air. 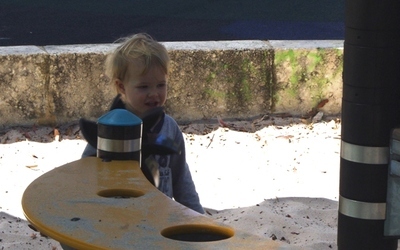 For littlies, there is an easy-climb rock wall, dubbed the 'phone wall' by my daughter, and a fun spinning propeller. 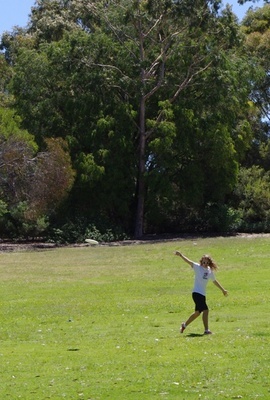 Nearby, there is a large, open grassed area perfect for Frisbee, football or walking the dog. Paths around the open area are pram-friendly. 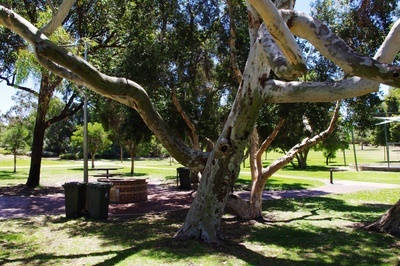 The reserve also offers barbecues, picnic tables, and a public toilet. 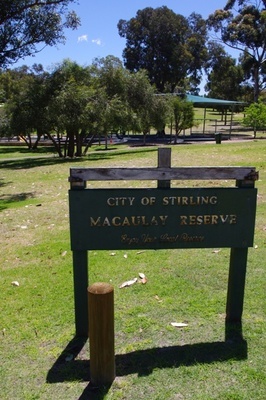 Macaulay reserve has been designated a 'native flora reserve' by the City of Stirling with a large variety of gum trees and Australian shrubs. 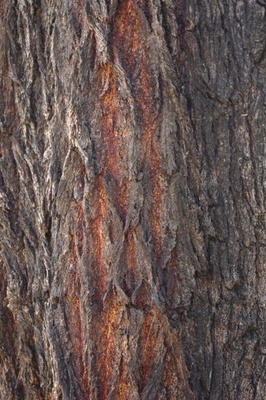 Budding botanists might like to observe the interesting types of bark on different trees near the playground. 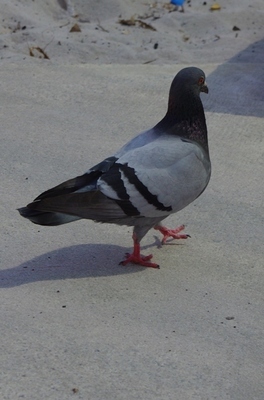 We also enjoyed spotting various birds around the playground – including magpies which, luckily, did not swoop anyone. 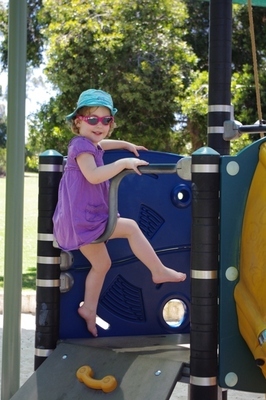 If you feel like extending the outing, the playground is also near Terry Tyzack Aquatic Centre which you can read more about here. 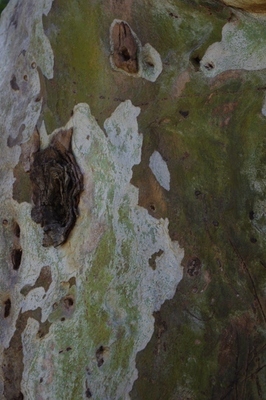 Native flora aficionados might also want to explore the nearby Hamer Eighth Reserve, AKA the Inglewood Triangle, which offers an intact example of banksia woodland. Why? 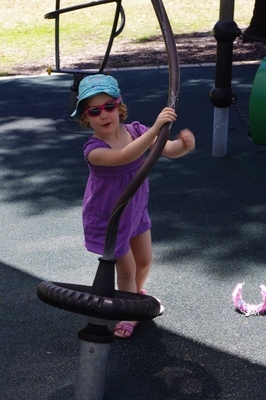 If you see another cookie-cutter playground you're going to spew. 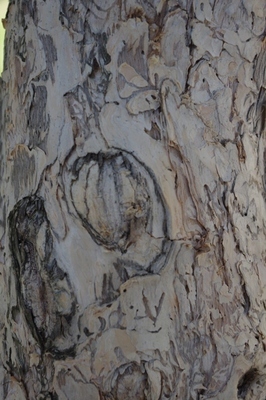 Where: Corner Dundas Rd and Hamer Pde, Inglewood.